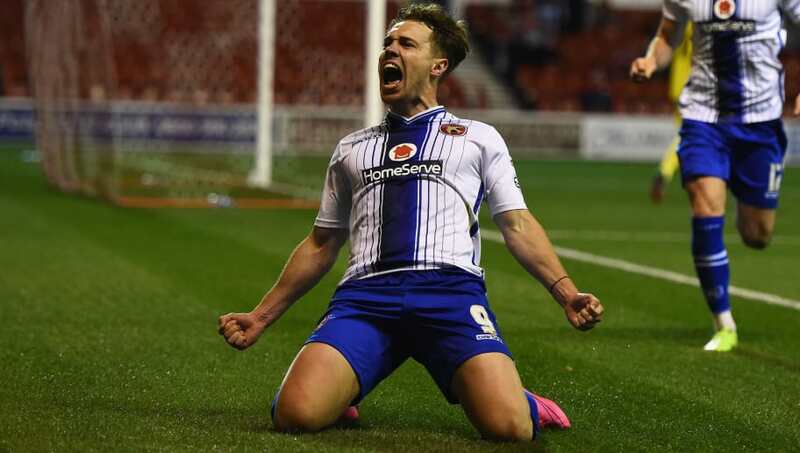 ​Championship sides Preston North End and Reading are eyeing up moves for Walsall striker Tom Bradshaw, according to the​ Daily Mail. The League One star currently has 14 goals in 29 appearances and has represented Wales at under 19 and 21 levels along with senior squad calls. While gaining 20 goals last term, he has established himself as one of the League's best forwards. Walsall will face a fight to keep the 23-year-old as Reading and Preston seek to improve their strike force. Bradshaw currently has 18 months on his current contract, which he signed in the summer of 2015. The Saddlers value their star man at £750,000 and face a real struggle to keep him with both clubs lining up fresh bids to add to their Championship firepower. Reading have been rumoured with a move for the forward since Nick Blackman left for Derby, with scouts watching him at matches previously this month, as they seek to fight towards the play off places. With Orlando Sa set to depart the Royals look set replace the striker with Bradshaw and Denis Rakels the main targets. Preston meanwhile look set to compete with the Berkshire club as they look to retain Championship status, after only being promoted last season. After failing to see much of a return on Scotsman Stevie May they seek to bolster their attacking threat. Ideally League One outfit, Walsall, would like to keep their front man as they sit third in League One, one point off the top spot; as they seek to gain Championship status. Ironically Walsall face Reading this upcoming weekend in the FA Cup fourth round at the Madejski Stadium after a trip away to Fleetwood Town in the League. Games in which the striker will play a vital part.